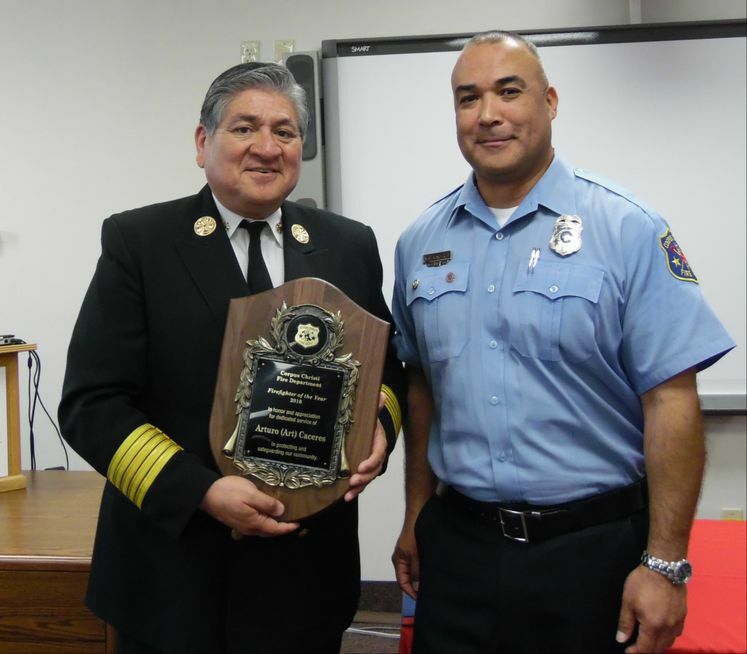 Firefighter I Paramedic Arturo (Art) Caceres was chosen as the 2016 Firefighter of the Year. Caceres joined the department in 1993. He is assigned to Fire Station #7 located on Staples Street. The 22-year veteran of the department exhibits an unselfish manner when performing his duties and serves as a role model for probationary firefighters.